The rapid globalization process the markets have undergone over the past 30 years has made it important for all companies to have an internationalization strategy. However it is absolutely fundamental for those in the health and life sciences sector, which is, by definition, global. This is why, for some time now, Biocat has coordinated the Catalan delegation to the main fairs in the sector, like BIO and BES. Biocat also promotes participation and collaborates on a wide variety of international events (Health 2.0, BizBarcelona, IoT Congress, PharmaProcess, Biotech Showcase, etc.) to help project the BioRegion of Catalonia internationally and foster trade exchanges. Bio€quity 2019, the most important biopharmaceutical investor conference in Europe, will take place in Barcelona for the first time on May 20-21, 2019. 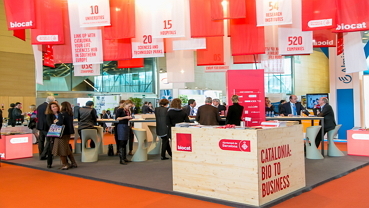 Since 2007 Biocat coordinates the Catalan delegation of companies and institutions participating at BIO International Convention, the largest biotechnology event of the world. BIO-Europe Spring (BES) is the premier springtime partnering conference which takes place in Europe and every year attracts international biotech, pharma and financial professionals. 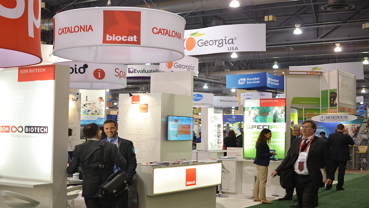 Biospain is the largest biotechnology event organized by a national association of bioindustry in Europe.